contributing towards a fit, healthy and active lifestyle for many of our members in Hyderabad. 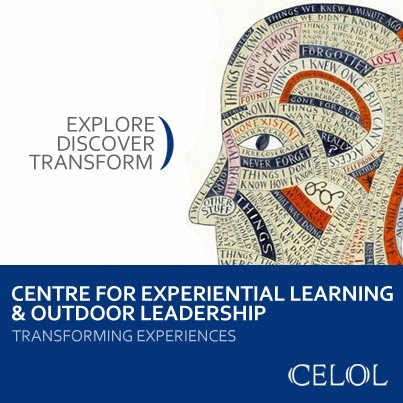 launching "CELOL" - Centre for Experiential Learning and Outdoor Leadership"
The Outdoor Leadership Track will focus on helping participants acquire professional technical skills, certifications and experience in adventure and outdoor leadership. The Experiential Learning Track will help existing trainers or aspiring trainers to learn and incorporate experiential learning methodologies in their trainings. Both the tracks will be mentored and managed by a team of trained,experienced and seasoned professionals and advisers in adventure and experiential learning. 1. To Develop Exceptional Outdoor Leaders and Adventure Professionals who can analyze, plan, implement, administer and supervise safe outdoor and adventure events. 2. To Provide Hands on Guidance and Training in Adventure, Outdoor Leadership Skills, Safe and Sustainable adventure as per the latest industry trends. 4. To Provide guidance to acquire certifications and employment in Adventure and Outdoor Leadership. 1. To Promote Experiential Learning and familiarize members to experiential learning methodologies. 2. Equip members with leadership skills and provide experiential learning opportunities where they can learn to use these skills in the various training programs. 3. Facilitate networking to build a community of Experiential learning Trainers who can share best practices and expertise among each other. 4. Build and Support a Eco-System for supporting and nurturing experiential learning both in the indoors and Outdoors. CELOL is both for the serious professional and for those aspiring tomake a career in adventure, outdoors or experiential training. Be part of this new initiative and support it to become another success story.